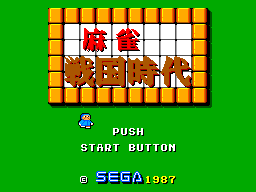 Other Released Names: Mahjong Sengoku Jidai (Japan), Mak-Jong. 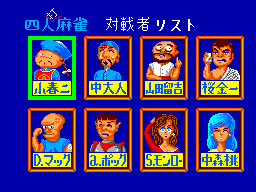 Some copies of the Hong Kong version are labelled 'Mak-Jong'. Translated from Mandarin: Play and enjoy Mahjong. Show your skills in four-man Mahjong, taking no prisoners. All's fair in this game. Take a chance, forge ahead, work hard and confuse your opponents. 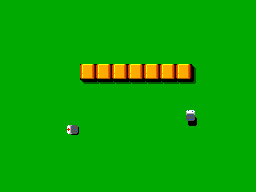 Or, you can try your luck in two-man Mahjong. Remember, all's fair in this game. In Mahjong, it's all about confusing your opponents, never let them know what you're up to!